The majority of our engagements are based on problem resolution. 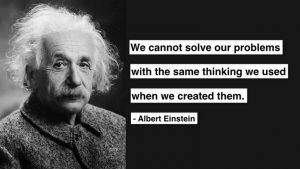 Whether this at the level of boardroom, leadership, teams or individuals, from the first discussion, we ask the same question: “so, what’s the problem?”. We know that this is a hard question to answer as it is based on a great deal of trust. In the early days of working with colleagues or external support, you can feel vulnerable giving your answers. 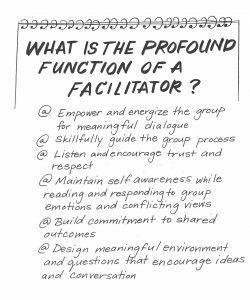 Facilitation is understanding that the answer to your questions are already in the room whilst the facilitator is the person that makes this process easy / easier. This is one of the most common lines from a leader: striking the balance between being above the day-to-day operations and being able to see what’s happening day-to-day. As the leader, you might see the results of something wrong (e.g. declining sales figures, faltering supply chain, distressed team dynamics) but don’t have the time or the independence / objectivity to drill down. Eskil facilitates the root cause analysis – getting to the bottom of it and reporting it back to the senior stakeholders. In all honesty, there is a good case for you to find the time but also, in reality, we can understand why your time is constrained. An Eskil Facilitator is experienced in problem resolution and can act as part of your resource. We will articulate the problem and take on the accountability for resolution. It’s flawed to say that there’s a simple solution to your problem. Just as your organization’s issues and opportunities are multi-faceted, so is any solution. When you consider problem resolution, you are looking at facilitated workshops, coaching / mentoring, condition / recondition, consultancy and project work. In addition to this, the stakeholder mix will include the boardroom, your leadership team, the management team, and team members. The art of problem resolution is defining the true issue, exploring options, agreeing actions and implementing. Eskil provides multi-level solutions, whether this is leadership development, high performing teams or individual excellence. Informed by the workshop, we facilitate the formulation of solutions (idea generation, idea prioritization), and subsequent action plans. Beyond that, well the choice is yours: if you like, Eskil can work with you in implementing the plan.